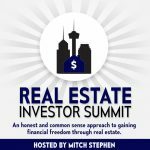 So where do you start in real estate investing? Where do I get the money??? It can be overwhelming. I think that everyone should start by WHOLESALING. “Finding Deals” and contracting them up so that other mature investors in your area can take them over for a fee. The average wholesale deal in the middle to lower price range (up to $100, 000 wholesale price) nets the wholesaler about $5, 000. More expensive homes can wholesale for much higher. 1. Very little money necessary. 3. You’ll learn the language. 5. You’ll learn how to contract deals with “Time” to close. 6. You’ll put some money in your pocket. 7. You’ll gain tremendous confidence! 8. You’ll prove to yourself YOU can find great deals. 10. Learning to wholesale deals will provide a solid foundation necessary before you take the natural 2nd step: to do the deals yourself and make the bigger profit. I say, wholesale 10 deals and bank as much of that money as possible. 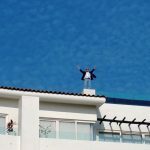 I say, get a job working in the RE industry and do wholesaling part time until you bank a years worth of income…keep your overhead low…then go full-time. I think my book My Life & 1000 Houses is a great place to start. 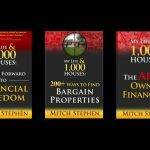 It is the perfect Real Estate book for you to begin your adventure. You’re going to learn you are not alone; we’ve all been overwhelmed in this business one time or another. There is so much opportunity. Live and learn. Pick one tiny niche and become an expert. 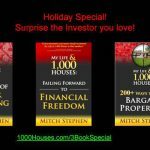 I say start with wholesaling because if you can learn learn to profit in real estate with little to no money of your own, then you’re off to a great start!